Bullying is not okay and my heart breaks for Keaton Jones from Tennessee. A message to Keaton, stay strong and don’t let these bastards keep you down. Keaton’s mom, Kimberly Jones said in a Facebook post Friday she had just picked up her son, Keaton, from school because he was too afraid to go to lunch. SAD! Before zero tolerance in schools, I can remember a time and place in a time long ago when one used to be able to defend oneself against bullying with a knuckle sandwich. Don’t you remember that to LB? I can’t say I understand the go fund me page for Keaton. Giving money is not going to stop bullying. A Tennessee woman’s video of her son’s tearful recounting of being bullied at middle school has prompted a wave of support from athletes and entertainers. One star is even going as far as to reward the young boy in a big way. The post has gone so viral that celebrities far and wide are taking notice and offering their support to young Keaton. However, one star is going above and beyond to reward the young boy for his persevearance. Chris Evans, who will reprise his role as Captain America in the upcoming “Avengers: Infinity War,” took to Twitter to not only share his support, but to invite the young boy to Los Angeles for the film’s premiere. WHAT THE HELL IS THIS WORLD COMING TO … AND LIBS THINK DODGE BALL IS DANGEROUS. A Dayton elementary school, female, 2nd grade student was stabbed Friday on the playground at her school in Dayton, Ohio. 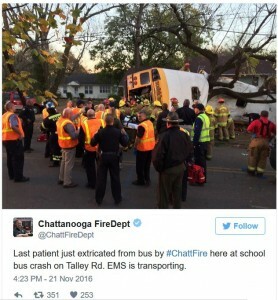 The incident took place at the World of Wonder PreK-8 school at 4411 Oakridge Drive. The 7 year old female student suffered serious injuries and was taken to the Dayton Children’s Hospital. The suspect is described as a black male, 5-foot-8 to 5-foot-10, and between 18 to 20 years of age. He was wearing athletic shorts, sweatshirt, and an orange T-shirt. My first questions is, in this day and age, how does anyone just walk onto a play ground when kids are at recess? One would think that schools would have measures in place to prevent these types of things. Do we never learn? Listen to the confusion in the video below of the 911 call. Damn, you would think a sccool would have a more organized standard operation than this. A Dayton elementary school student was stabbed on the playground Friday afternoon by an adult, school officials say. The second-grade student was on the playground of the World of Wonder school on Oakridge Drive in the city’s Residence Park neighborhood, WHIO reports. The incident occurred during recess, and the adult male who stabbed the girl trespassed on school property, the Dayton Daily News reports. It’s unclear if he is in police custody. School officials found the girl face down on the playground, according to the Dayton Daily News. 2nd-grader stabbed at Dayton school hurt seriously. The preliminary investigation suggests that a male walked onto the playground about 1:30 p.m. and stabbed the girl, then left the area headed toward Kammer Avenue. 57 year old Gary Simpson, the uncle by marriage of missing Carlie Marie Trent, picked his niece up at the school Wednesday after noon and removed her from school under false pretences.. The missing person case began as an endangered child alert late Wednesday night but was upgraded to an AMBER Alert by Thursday morning. Gary Simpson is believed to be driving a white Dodge Caravan with a dark stripe down the middle and Tennessee plates 173GPS. Carlie Trent was removed from school Wednesday by her uncle by marriage, Gary Simpson, 57, under false pretenses, according to TBI. Police say Simpson told school officials Trent’s father was in a car accident and she may not be in school on Thursday as well. They said Simpson has no custodial rights to Carlie and their whereabouts are unknown. Call the Rogersville Police Department at 423-272-7555 if you have information. 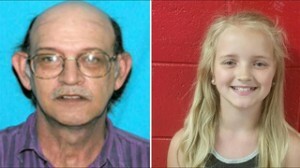 The Tennessee Bureau of Investigation is now issuing an AMBER alert for a missing 9-year-old Rogersville girl. Thursday morning, the alert was escalated from an endangered child alert after authorities issued a warrant for kidnapping. Carlie’s mother Shannon Trent said, she just wants her daughter home as quickly as possible. UPDATE I: Warrants for Kidnapping have been issued for Gary Simpson. Warrants for Kidnapping have been issued for Simpson as he has no custodial rights to Carlie. Their whereabouts are currently unknown, but officials believe they could be in Virginia or surrounding areas near the Tennessee, Virginia line. Simpson was last seen driving a white 2002 Dodge Conversion van with Tennessee License Plates: 173GPS. The van has a dark stripe down the middle with light gold running boards and chipped paint on the hood. Carlie Trent is described as 4 feet 8 inches tall and weighing 75 pounds. Carlie has blue eyes and blonde hair. She was last seen wearing a black and grey tank top and blue jeans. Simpson is described as 5 feet 10 inches tall and weighing 157 pounds. Simpson is balding and has brown eyes and brown hair. He was last seen wearing a brown cap, a dark colored shirt and jeans. The public is urged to call 1-800-TBI-FIND (1-800-824-3463) if you have seen Carlie Trent, Gary Simpson or the listed vehicle they are believed to be traveling in. UPDATE II: Reward offered for information leading to missing Tennessee girl, Carlie Trent. Authorities in Tennessee said Saturday that a reward for information leading to the safe recovery over a missing 9-year-old girl has been set at $12,500. The Tennessee Bureau of Investigation said law enforcement officials continued searching for Carlie Marie Trent of Rogersville in the eastern part of the state. The bureau said it’s working through more than 100 tips it has received since an Amber Alert was issued Thursday. UPDATE III: New video released in case of missing Tennessee girl. New video released on Saturday from the Tennessee Bureau of Investigation shows Carlie Trent and her uncle Gary Simpson shopping at a Rogersville grocery store shortly after she went missing. The TBI also announced a new reward is being offered for Carlie’s safe return.